Why Do Roaches Get in Your Bathroom? An essential part of preventing an infestation of a certain insect in your home is to learn what draws that insect into your home to begin with. Insects are drawn indoors usually by choice rather than by accident, so understanding what attracts insects into your home and acting to eliminate those attractions can prevent the infestation altogether and can thus prevent your needing to resort to potentially toxic pesticide chemicals in order to control the infestation. Cockroaches, drawn to the bathroom, is a classic example of one of these attractions. Understand why cockroaches are drawn to certain areas of your home to keep them out. Iowa State University Extension Entomologist Donald Lewis notes that a common misconception among homeowners is that insects are more common in the bathroom than other rooms in the house because huge insect populations thrive in sewer systems and insects therefore find their way into bathrooms via sink faucets, bath drains, shower heads and the like. Rather, insects are in general are probably no more common in the bathroom than in other parts of the house; we simply observe them in the bathroom more frequently since they tend to fall into sinks and bathtubs and are unable to escape. 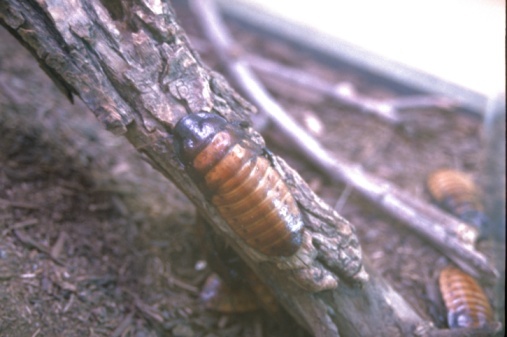 Cockroaches travel indoors because they are seeking food, water or shelter, or some combination of the three. Thus, any room in the house that has more water appliances such as the kitchen, a basement with plumbing or the bathroom may be more prone to attract roaches than are other rooms in the house. Additionally, as Lewis points out, roaches are also likely to fall into bathtubs, showers and sinks and to not be able to escape. This means that we may see more roaches in the bathroom than we see in other rooms, but that does not necessarily that there are more roaches in the bathroom than in other areas. Armed with the knowledge of why roaches are attracted indoors in the first instance, prevention of a cockroach infestation is made much easier. Eliminating any sources of excess moisture can compel cockroaches already inside your home to leave and can prevent roaches outside from coming indoors. Similarly, being scrupulous about cleaning up spilled food and crumbs, which roaches eat, can force them to travel elsewhere in search of food. 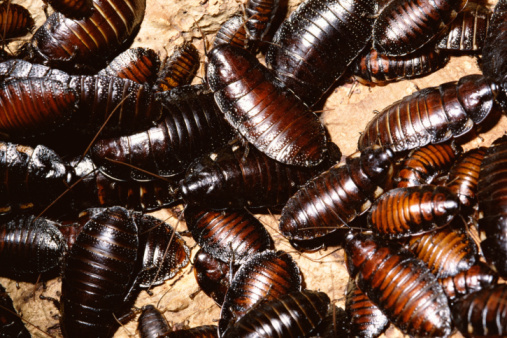 Roaches also prefer to reside in dark, secluded areas that are not frequented by humans, so cleaning these areas regularly can perturb the roaches to the point that they will leave. Serious infestations should be treated with a carefully designed pesticide program. Avoid "bomb"-style aerosol foggers as they are only marginally effective. Instead, look for bait insecticides as well as contact spray insecticides and pesticide powders as they are more effective at removing a roach infestation. Whatever type of pesticide you choose to use, follow the manufacturer's application instructions meticulously and use the smallest amount possible to achieve the desired insecticidal result. Why Do Insects Crawl Up the Bathtub Drain? Do Foggers Kill Roach Eggs?